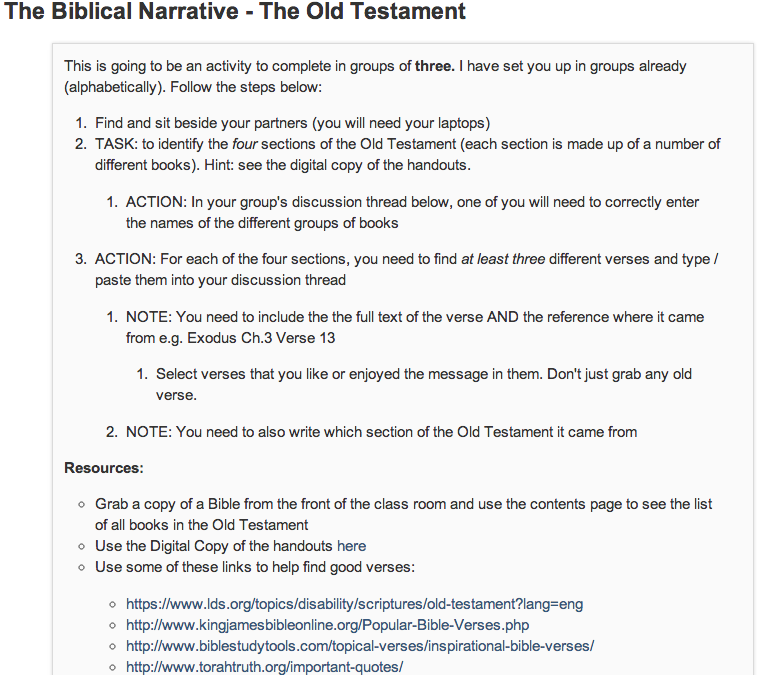 Today I introduced my Yr9 Religious Education students to an overview of the Old Testament. I recognised there would be a wide range of prior knowledge and so I wanted a fun and interactive way of identifying what the students actually knew at this point. If you were asked to explain what the Bible was to someone who had never heard of it, what would you tell them? As a starting “Do Now” activity, this worked effectively, because the students needed to come in quietly, get out their laptops, connect to Moodle and then click the link on our class site to Socrative.com, before answering their questions. The students were engaged immediately, especially when they saw their answers starting to scroll up the projector screen at the front of the classroom. For those that didn’t know much about the Bible, they would not feel uncomfortable due to their limited knowledge. An opportunity for me to talk about Digital Citizenship and remind the students their replies needed to be responsibly worded. The lesson continued with the students watching a short animated DVD explaining the broad sweep of the Old Testament, before they were required to work in groups of 3, using their laptops to identify the four main sections of the Old Testament and share some verses from within these sections in a Moodle Forum. This was experimental for this class – they had to carefully follow a few instructions, move around the room into their groups, and then quickly locate the information they required. I was pleased that this mostly went without a hitch, although it took slightly longer than I anticipated, so I could not use the “Exit Pass” functionality in Socrative.com to receive student reflections on the lesson. I think that as students become more familiar with some of these activities, such as logging into Moodle, looking for the task they are required to start, then speed and fluency will increase, making these viable activities for both in class and completion at home. One of the things I particularly like about this is the record of learning that is retained – the work completed by each student is recorded in one place, their name automatically associated with it, and where appropriate, becomes a great resource for revision when assessment requires it. I am going to continue to explore different ways Moodle and Socrative can be used in combination in lessons with this class. 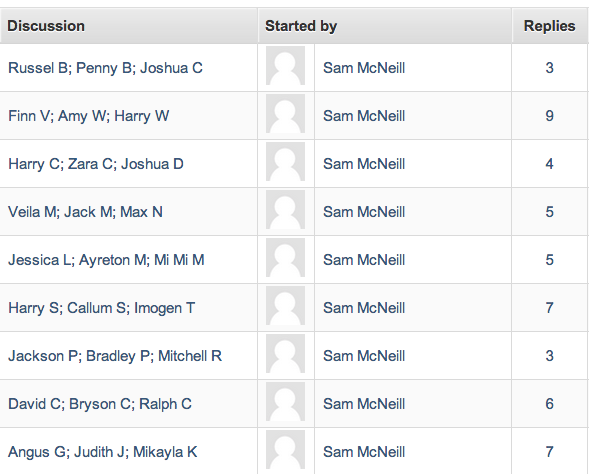 This entry was posted in eLearning, Religious Education and tagged BYOD, Education, eLearning, Information and communication technologies in education, Learning management system, Moodle, Pedagogy, Religious Education, Socrative, Student engagement, Student Work by Sam McNeill. Bookmark the permalink.